Yorkshire's rural businesses could unlock a further �1.3bn contribution to the economy every year if they have access to the right digital tools, according to a report commissioned by Amazon. Environment Secretary Michael Gove believes it would cost a fraction of the money earmarked for the High Speed 2 rail project to deliver superfast broadband to all, as he said it was time to stop discriminating over access to a service which is as essential water. In a speech to more than 1,500 farmers, Mr Gove suggested British agriculture cannot reach its economic potential without a level of investment that dwarfs the sum pledged for the £60bn rail link between London, Birmingham, the East Midlands, Leeds and Manchester. 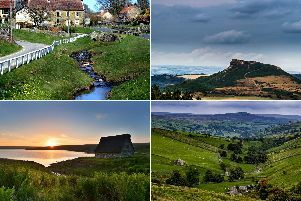 Broadband campaigners in Yorkshire have urged the government to address a dearth of fast, reliable broadband in the countryside for years, the lack of which is “the single biggest obstacle to the revival of the rural economy” said Chris France, head of planning at the North York Moors National Park Authority. Speaking at the National Farmers’ Union’s conference yesterday, Mr Gove said it was “ridiculous” that Kenya enjoyed better mobile phone coverage than in parts of Kent and “unjustifiable” in a country that first guaranteed universal mail provision, invented the telephone and TV and pioneered the internet that broadband is so poor in many areas. Fast, reliable and affordable broadband is “the necessary infrastructure of all our lives in these times”, he said, adding: “Farming cannot become as productive as it should be, rural economies cannot grow as they should, new housing cannot be provided in rural areas as so many hope... and we cannot have an economy that works for everyone unless everyone has access to decent broadband. Only 16 percent of NFU members have a reliable indoor mobile signal and nine percent have access to superfast broadband, according to a recent survey by the union. James Copeland, regional land use adviser at the NFU, said the challenge is turning Mr Gove’s enthusiasm into real action to deliver the digital infrastructure that farmers need now. Mr Gove claimed EU rules on state aid have stopped the government investing in broadband “in a way that is best for the UK” but Libby Bateman, an adviser for the Country Land and Business Association, said this was a “smokescreen” as it is impossible to believe the government would be able to distort a commercial market with public funding after Brexit.